Picture was captured in Cattle Market (Mandhi Mowaishian) located on main G.T. Road in the area of Kamra Cantt (Turn to Shams Abad village). 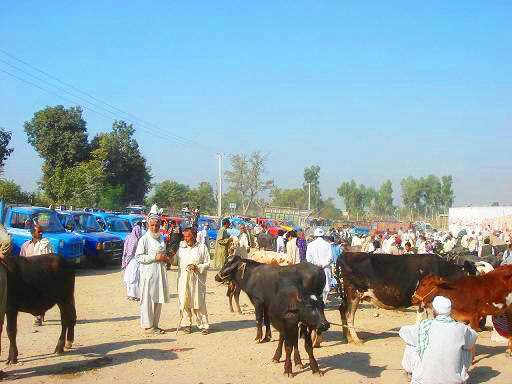 Sellers / Buyers from district Attock visit this Mandhi on weekly basis for trade. The rates of all type cattle for sacrificing on Eid Ul Baqra reached to high level due to the bed economic condition of Pakistan also buyers from Afghanistan export the cattle from Pakistan.